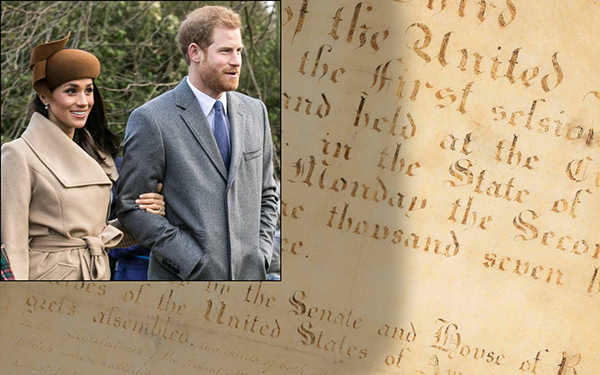 The wedding of Prince Harry and American-born Meghan Markle has been placed at the center of an extraordinary breaking story—thanks to a newly unearthed constitutional amendment dating back to 1791—that could see the reversal of the United States's independence from the British. 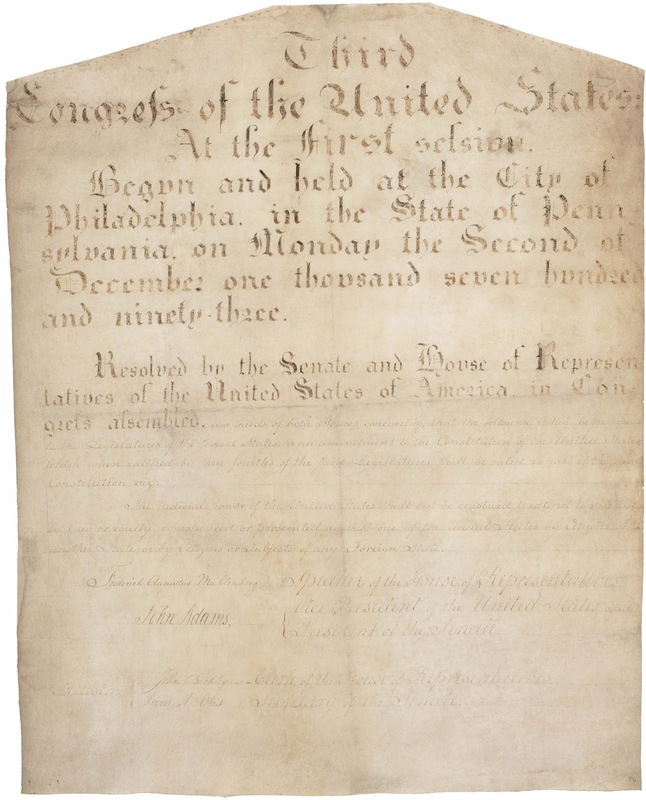 Published in full by the New York Times late Saturday evening, the amendment was seemingly intended as an eleventh addition to the United States Bill of Rights. Its enforcement as a legal document could have huge ramifications for the power structure of the United States, placing the nation, its 50 states, and territories under British sovereignty. According to the report, the amendment specifically "prohibits the governance of the people by a foreign entity, including Great Britain and all of its territories" except in the "unlikely forging" of either a "parental or marital relationship between a direct heir to the British throne and a natural born citizen of the United States of America." 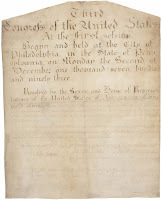 Ratified alongside Amendments 1 to 10 on December 15, 1791, it had been withheld from public discussion and stored in the National Archives for 84 years until its acquisition by the New York Times via a Freedom of Information Act request. "We can confirm the document's validity," said David Ferriero, official archivist for the National Archives, speaking to ABC News. "President Roosevelt determined that the amendment, and all related documents, were not in the public interest because the likelihood of this amendment being activated was always incredibly small." In a further incredible development, the report also revealed that the amendment was privately made known to King Edward VIII in 1936 shortly before his abdication from the throne. A series of letters personally written by Franklin Roosevelt to both Edward and prime minister, Stanley Baldwin, indicate that the United States actively sought to prevent Edward's marriage to American socialite, Wallis Simpson. 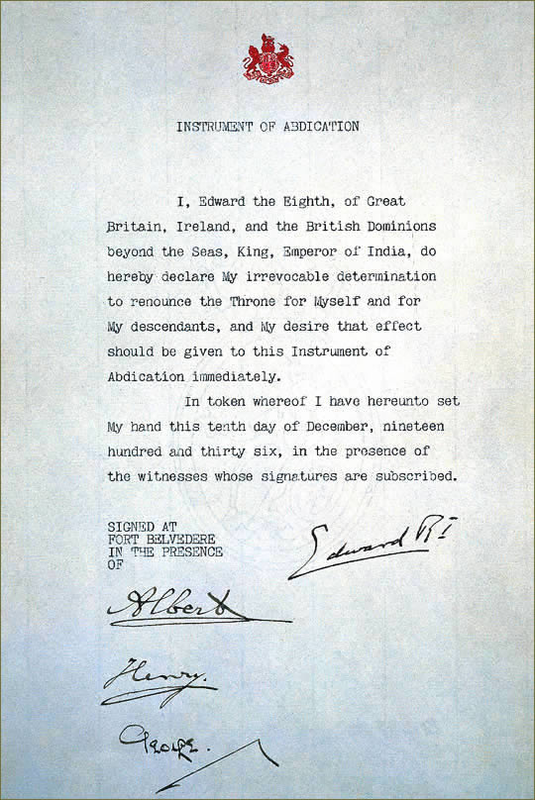 Officially, Edward was forced to abdicate the throne in December 1936, amid a looming constitutional crisis tied to the fact that Ms. Simpson had twice been divorced. However, the Independent insists that this may have been a cover story to conceal the truth of the newly revealed amendment. A report published by the newspaper this morning highlights increasing desperation on the part of the British Government to avoid international conflict in the Americas, particularly amid the rise of fascism in Europe at the time. 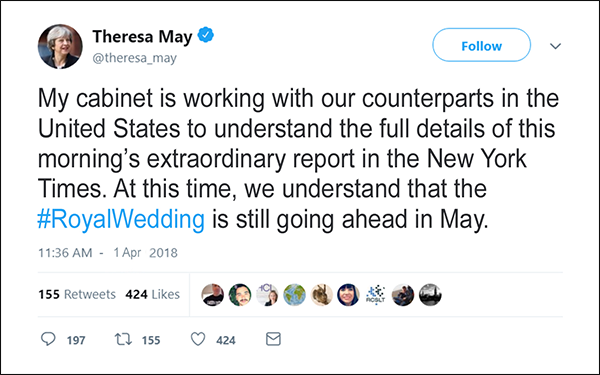 Meanwhile, current British Prime Minister, Theresa May, tweeted that the British government is already working with the United States to "understand the full details" of the report. The Royal Family has yet to comment on the news and it is not yet clear if the amendment and its contents were already known to the present occupants of Buckingham Palace. Prince Harry, fifth in line to the throne, is set to marry Ms Merkel on May 19. Laurence Brown is a British writer and YouTuber who somehow convinced the city of Chicago to let him in. He is an English Language graduate from Lancaster University and a passionate word etymologist, with a particular interest in British and American neologisms. Since moving to the United States, he has become increasingly curious about Britain's historical influence on American culture and about America in general. He is on Twitter.